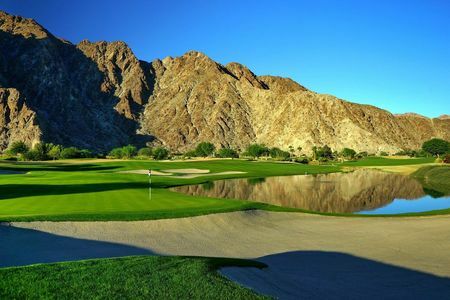 Owned by the City of La Quinta and Managed by Landmark Golf Management, SilverRock Resort's Arnold Palmer Classic Course is a challenging 7,578 yards sprawling over 200 acres with massive native bunkers and stunning water features. 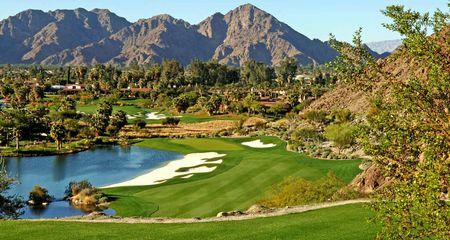 Set against the backdrop and natural beauty of the Santa Rosa Mountains, SilverRock is a former home course of the PGA Tour’s Bob Hope Classic from 2008-2011. The Clubhouse, which is situated in rocky outcroppings, is a charming renovation of the former working-ranch hacienda. Arnie's Silverrock, located at the foot of the mountain, is a truly magnificent golf course and definitely among the best I have ever played. The course is pretty long and the many water hazards and bunkers make it very challenging. Course design, overall maintenance and customer service are top class. Unfortunately we had to stop after 16 holes due to darkness. Pace of play was pretty slow out there. All in all it was a wonderful experience. Just a fantastic golfing experience. The course definitely favors the long hitters, as from the black tees the course plays of 7'600 yards. Luckily enough the men can choose between 4 tee options and the ladies between 3 alternatives to make it fun for every golfer. 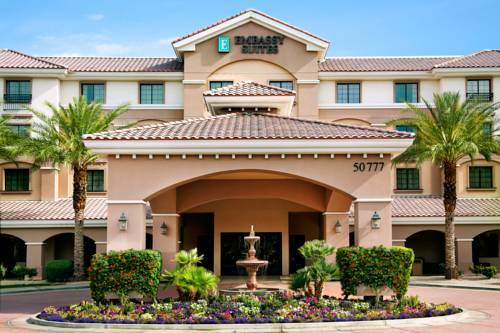 The maintenance is top quality all year round even in the summer when temperatures go as high as 45°C. If you survived the front nine, you are expecting to be really challenged on the holes 12 to 17. The 12th, a long par 5 of 620 yards (blue tees) cut at 450 yards by the Colorado canal. The 17th, a par 3 of 200 yards right over a lake just waiting for your golf ball.